The term Peak Gold has been bandied about for a year or two. The premise is that we look to have the known reserves all mined out in the next twenty years. Some people, like this GS wonk, think that will push gold higher over the medium run. Here's an alternative view, from Mike Shedlock. Thinking "Peak Gold" will push up the price in the medium run is a lot like thinking "Peak Oil" will push up the price of Oil in the medium run. The question is how many dollars are available to buy gold, and will the holders of those dollars buy it, similar to how many dollars are available to buy a tank of gas, and will the holders of those dollars buy it? We know there is Demand Destruction ongoing with Oil, what is the Demand situation with Gold? This is very difficult to answer since Gold isn't purchased by millions of consumers every day like gas is at the pump. It's mainly traded by Pigmen on the ComEx market. So what is the demand situation amongst the Pigmen for Gold? Also tough to answer, since Pigmen include the Central Bank manipulators of the Gold Price. What is more scarce for the Pigmen right now, Dollars or Gold? 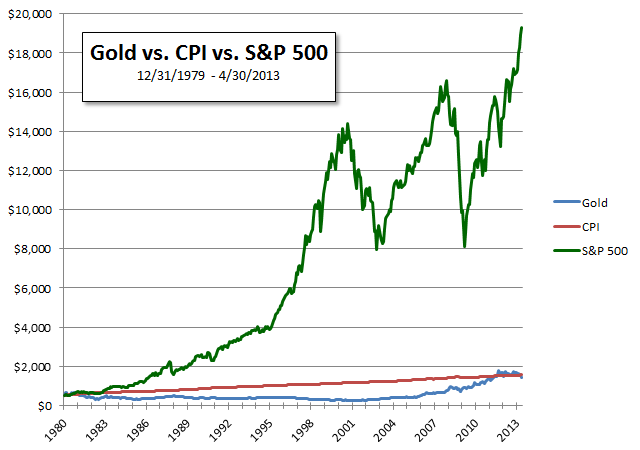 Given the Dollar is increasing in value relative to other currencies, it seems like Dollars are more scarce than Gold. In the end, the price will be determined when the margin calls finally come, and liquidations begin. My best guess is the Gold price will get hammered along with everything else. Well, I think we can see well enough that the strength in the USD is not likely to last indefinitely. The USD is being phased out as the world's reserve currency. At some point it won't be any better than the Euro, or the Aussie Dollar, or any other fiat currency. If BAU persists long enough for that to even happen. Short term, gold gets slammed with any deflationary collapse in the global markets. If 2008 is any example, it will take the hit when the margin calls first get hot and heavy, and then come back faster than equities. But that's just a guess. Maybe neither one will come back for years. Or ever. But I don't ever believe gold or silver will end up like fiat. If there are any rich people left in the world, one of them will be a buyer for gold. Or you might be able to use it to buy some valuable asset, the way JHK talks about in his novels. At the moment I have no gold, btw, and only a little silver. But it's still interesting to me to discuss. Bruno de Landevoisin had an interesting scenario he posted up on this, least I think it was him. Idea here is that the Illuminati are going to devalue the dollar to pay off FSoA debt and substitute a new World Currency. Maybe, but I still think it can't buy resources that aren't there to buy. Anyhow, medium term you're still gonna see flight to the Dollar long as the Euro and Yen are collapsing. So to me, Dollars are the best Dogshit to hold until those 2 Toilet Papers go down the tubes. Meanwhile, Gold and Silver will likely track the Oil Price more or less on the ComEx. I have a little Gold from when I used to be healthy and spent some time doing some panning up here. However, most of the last resort funds are in Paper FRNs, which I will spend on more Rice Bags and Bear Creek Soups when it looks like the end game has arrived. May I suggest Edward you get some gold as soon as possible. We reached Peak Gold by the way in 1971 when Nixon severed the dollar from all connections to Gold. It was a declaration of bankruptcy and a default on all US debt that was legally contracted to be payable in Gold. We had printed more bogus fiat than could ever be paid in real money, gold, was what it was all about. Gold worked it's way form around 30 to around 2000 dollars an ounce with some major ups and downs since then. Only the dim and brainwashed haven't figured out which is the better of the two currencies yet. The real buffoons deride gold and cling to fiat even after having been so thoroughly trounced upon, enslaved, and just plain sodomized by the banksters and their credit paper edifice. "The first requisite of a sound monetary system is that it put the least possible power over the quantity or quality of money in the hands of the politicians." Cash is a valid last resort asset, especially if credit cards and checks become suspect. Of course like everything else it is far from perfect. An end game to the economic system of today could well be brought about by a ruinous inflation first which would decimate cash holdings. The government could issue a new scrip for use in payment of food and scarce resources like oil and deem the dollar illegal for such purposes as well as credit cards and checks as a way of rationing. A new currency could be introduced to screw smarter people like you who are hoarding dollars for a rainy day, you would have to declare your cash holdings and turn them in for the new or they would be declared not legal tender by a certain date.. Some cash, silver, gold, and stored food, munitions and supplies would be a wiser diversification move in my opinion. Some Canadian and Mexican money might also be considered for border residents. I'd sell him some, or all, of mine!! All I ask of it is the same value I purchased for it, in fiat, according to what the real inflation rate has been according to the shadow stats guy. Last I looked that would put its value in the $4000/oz range....and that is only break even, but I'd do it for the team! Damn that gold did so well it almost....can't be seen next to market gains. HOW CAN THIS BE!!!! just bought a mountain top loaded with Au & Ag "juice"
Bra-tha I will hook you up. You & the ox should go in halv-sies, plan a biz-ness trip to Vegas "baby"
& we'll all 3 go easter egg huntin' for a sweet patch of hard rock. That actually sounds a like a lot of fun. I envy you your mining adventures. I just finished reading Ed Abbey's Desert Solitaire. Lots of stories about mining camps in the desert and in the Colorado canyons back before they flooded them. Mostly uranium, though. I guess that was over in the '50s for the prospectors. I have driven by the big pit up in NE Arizona. The Freeport MacMoran hole-in-the-ground. Globe, maybe? I was on my way to Show Low, couple of years ago. Try starting the chart at 2001... it tells quite a different story. 70% of investment gains come from being in the right kind of investment. From 1981 to 2001, that was stocks. In the past 13 years, stocks in aggregate have only gone up about 25%. That is hard to distinguish from CPI. & your in the cyber world, skin game crap. Some of us learned our lesson with PMs from a LONG time ago….I hate to date myself sometimes. And from 2009 to now? That has been the RIGHT kind of investment as well. Go fiat!! Who cares about 13 years? I went all in after the crash, betting against doomers as a matter of course. Win-win, plus I can explain to the wife that it isn't a complete waste of time hanging out at web sites, I wait until they piss themselves in glee at a market crash, and I bet big. She see's the returns come in, and can't deny the effectiveness of the technique. Your neck of the woods is Texas, that's your territory. Ox gets the east coast as his territory. You each cough up a Benjamin to the BLM, Az. Dept of Mines. Go flip the 20 ac. to some richie rich in your respective territory. selling a right. A right to 20 ac. worth of bling. Now how simple can that be. Your only business tool will be a 10 kilo bar of Au & Ag. Don't like all your market gains, convert them to physicals, if you invested way back when, you could now have MORE physicals!!!! You are calling physicals crap? What, you don't trust the value of your metal? Certainly gold doesn't breed and create more, but those market gains….bring the ability to get MORE PHYSICALS!!!! So convert yours to physical…MORE than you would have had if you had chosen otherwise. And I my only term paper in college netted me like a C-, I was an awful writer. I have improved.